While it may be too early to start thinking about your little peanut's retirement fund, who says you can't find functional unisex baby gifts that will also look adorable in baby's nursery? 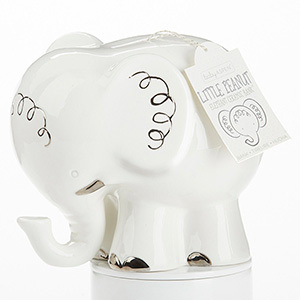 Baby Aspen's Little Peanut Elephant Porcelain Bank is just the thing. Place on a side table or anywhere in your little one's nursery and it will look just darling. 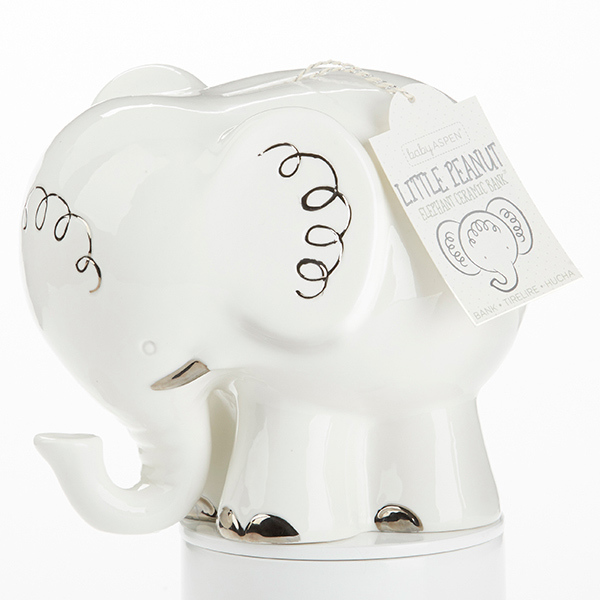 White Porcelain elephant-shaped bank is adorned with silver foil detailing. Bank features a removable stopper for easy access to coins.